You’ve probably already seen them countless times over the course of this general election campaign – the smug, sanctimonious internet memes bandied about by Labour supporters and other left-wing activists excoriating the Conservatives for having presided over a massive increase in the national debt since taking office in coalition back in 2010. And of course this is factually correct. The only thing missing from these outraged little infographics is an admission of what would have happened to the budget deficit and national debt under fiscally incontinent left-wing economic policies – and the answer, of course, is that the situation would be even worse. Spot the pattern? Tory Chancellors who loudly proclaim the virtues of having a budget surplus, have, in the end, presided only ever over deficits. But it gets worse. The deficit, as the gap between money coming into the Treasury and money spent, has to be paid for by borrowing. 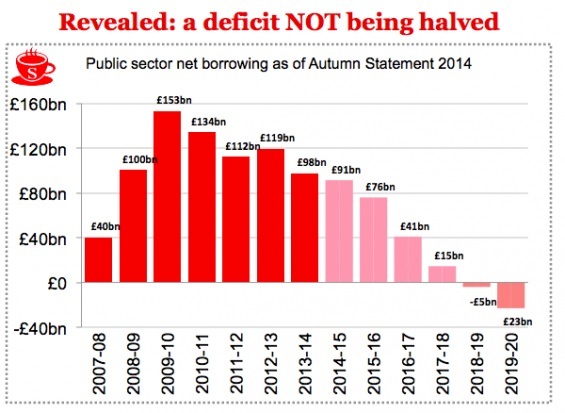 And quite rightly, the Tories’ deficit target was matched by a debt goal. Borrowing to invest in structural improvements to our economy is clearly the right thing to do. But that is very different from permanent borrowing to prop up day-to-day spending. Their original target was to have debt falling by 2015-16. Then in 2014 that was delayed until 2016-17. Then in 2015 the target was to keep it falling every year until 2020-1. Then in 2016 that was changed to be “falling by 2020-1”. This “goal” looks like one that will always be swerved as the Tory mismanagement rolls on. 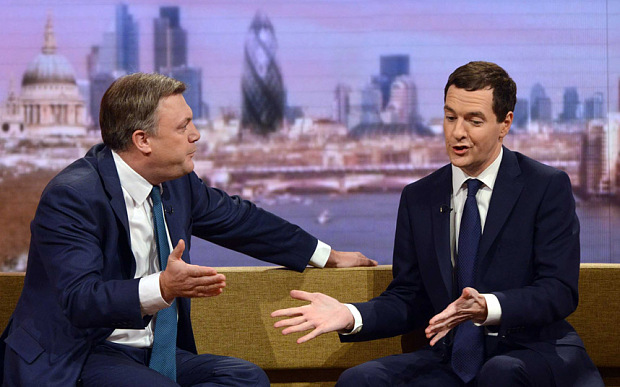 The budget deficit was used repeatedly by Osborne as an attack on Labour’s record in office. This has now been demonstrated to be ludicrous chutzpah. Laughable, if it were not so serious. Ironic, if it were not to have such lasting consequences for all of us. It’s time we moved on from a debate about the Labour past, and looked at what the Tories are doing today. 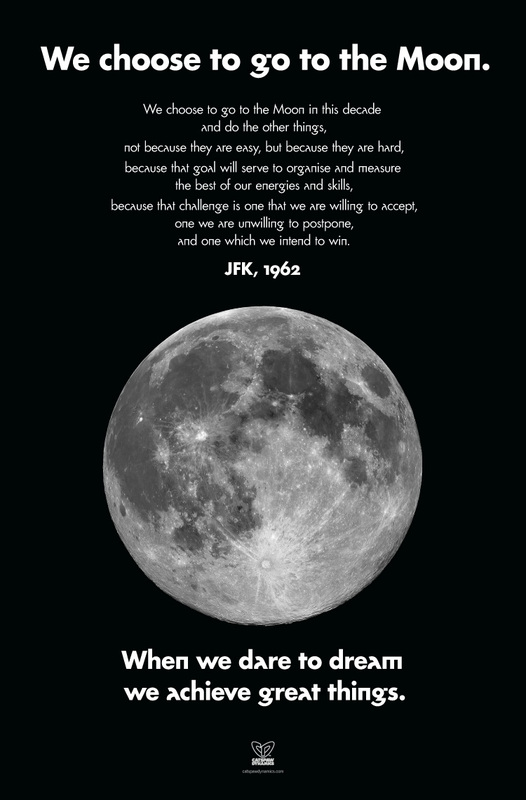 We should show the leadership the country badly needs, and take this fight on. Yes, how rude of the homeowner not to instantly repair all of the damage caused by the arsonist. The bare-faced gall of these people is astonishing. Heading into the Great Recession, the Labour Party under Tony Blair and Gordon Brown consistently ran budget deficits, despite the fact that the economy was growing and boom and bust had apparently been “abolished”. And so when the downturn hit, there was almost zero room for fiscal manoeuvre by the government. Sure, we printed lots of money and nationalised failing banks – didn’t the Left used to angrily call that “privatising the profits and nationalising the losses?” – but we were in no position to undertake the kind of stimulus spending that America unleashed and which Keynesian economics dictates is the correct way to deal with a recession. The budget deficit naturally exploded and reached a peak just as the Conservative / Liberal Democrat coalition government came into office, reaching a peak of around £160 billion when Labour left office. This means that the national debt was being added to every year at the fastest rate in modern history. To their partial credit, the Conservatives have succeeded in at least reducing the budget deficit every year (thereby slowing the rate of increase in the national debt) though they have consistently relaxed and missed their own targets for doing so, with the budget deficit now not due to be eliminated until the year 2026. And so we now have the spectacle of smarmy left-wing internet meme-sharers lambasting the Tories for having failed to eliminate the deficit and significantly lower the national debt. Well, what would they have had the Evil Tories do? The Left squealed like self-entitled pigs when George Osborne made even modest efforts to trim the deficit, repeatedly relaxing the timetable by which he planned to return Britain to a budget surplus. Are the Left now saying that they would rather have had deeper budget cuts? Abolishing the Army, perhaps? Surely not reducing funding for Our Blessed NHS (genuflect)? Or perhaps they secretly intended to eliminate the budget deficit by dramatically hiking income tax and national insurance on all tax bands, in angry defiance of the Laffer Curve? But what when this only suppressed economic activity even further? Let’s be clear – the Conservative Party, under chancellors George Osborne and Philip Hammond, has been depressingly unambitious when it comes to eliminating the budget deficit. The party of David Cameron and Theresa May has not been the party of fiscal responsibility, and their constant lying about “fixing the roof while the sun is shining” and “paying down Britain’s debts” when in fact they have done no such thing only makes matters worse. But the only thing more ludicrous than a Conservative Party which struts around pretending to be the guardians of fiscal responsibility is a Labour Party which ran budget deficits in the good years, leaving Britain particularly vulnerable to the loss of tax revenue accompanying a recession, attacking the Tories for having failed to enact measures which they would never have enacted themselves, and which in fact they repeatedly criticised the Tories for even attempting to do. It is simply mind-boggling that the Labour Party dares to attack the Tories on the question of deficit reduction and the national debt when their “anti-austerity” policies would have increased the deficit even further and made the national debt even larger. I actually can’t take it anymore. It is economically illiterate and it is self-defeating and it has to stop. It is like someone lighting a fire, which is an inferno when the fire brigade arrives, and then the person who starts it runs around replacing the brigade’s water with oil, and fanning the flames, whilst screaming at the fire bridgade that they can’t believe the fire isn’t out. Yes, Labour’s repeated taunts about the national debt really are that preposterous. Self-defeating too, as it brings attention back onto how the fire got started in the first place. So, having left a deficit of £160bn, and a national debt (cumulative deficits added together), of just under a trillion, Labour have noted that the debt is bigger. Well, duh! Were the Tories supposed to have eliminated the deficit in their first year in Government? Impossible. In fact, what the Tories chose to do is to cut spending, added to a few tax rises, and slowly eliminated that deficit. Very slowly, slower than they originally hoped. But at every turn, every cut, Labour opposed them. Every single one. So yes, every year a lot of deficit (decreasing every time) got added to the national debt, but that is because Labour left such a massive deficit. Now, yes, they left that deficit mostly because of the action they took to save the banking system and to try and stimulate the economy to stave off depression during the financial crisis. A financial crisis that wasn’t caused by Labour. But look at the seven years between 2001 and the start of the crisis in 2008. Those were times of economic growth. During times of economic growth that deficit should have been a surplus (tax revenue greater than government spending). But it wasn’t, as Tony Blair and Gordon Brown chose to spend and maintained a deficit of around £40 billion a year. This means there was no financial room to manoeuvre when the inevitable recession came. Of course, Brown had boasted that he might have abolished boom and bust, so may not have been ready for that recession. But when it came, a huge amount of public money was thrown at it, which meant the Conservatives inherited a massive deficit. It’s funny. Transport these same leftists to the United States, where beloved Barack Obama ruled from 2009 to 2017 in the aftermath of the same global recession, and they would doubtless shriek with outrage at similarly cynical efforts recently made by the Republican Party to pin the blame for American budget deficits and increasing national debt squarely on the Democrats. They would rightly point out that President Obama inherited a mess, an economy in freefall and public spending jacked up artificially high by his fiscally incontinent predecessor George W. Bush. They would correctly point out that nobody can work economic miracles like making a large structural budget deficit and cumulative national debt disappear in an instant. But the sanctimonious meme-sharers do not live in America where an admired left-wing president ruled for the past eight years. 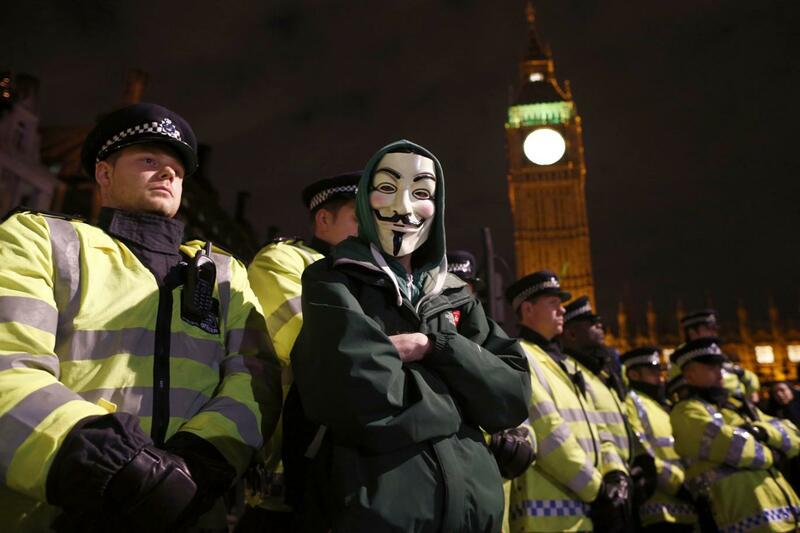 They live in Britain, where the callous, heartless Evil Tor-ees (they’re lower than vermin, don’t you know!) have been in charge since 2010, and so all of the leeway and understanding that they would demand for themselves is stubbornly withheld from the other side under identical conditions. As is so often the case, Labour Party propaganda relies on voter ignorance and lack of medium or even short-term memory in order to make an impact. With these lowbrow memes and the highbrow articles which underpin them, Labour Party activists and sympathetic commentators are counting on the British people being too stupid to ask what Labour would have done differently to have achieved a budget surplus and reduced national debt given the same circumstances faced by the Tories. That’s certainly one way to go about trying to win an election, but there is nothing to be proud of in this tawdry, disingenuous approach. “Tories pull into four point lead over Labour” proclaims the headline in today’s Telegraph, citing an Ipsos MORI poll that put the Conservatives on 33 per cent to Labour’s 29. But not so fast: “Labour opens up five point poll lead over Tories” reads a contradictory headline in the Guardian, talking up an ICM poll that put Labour on 33 per cent with the Tories languishing at 28. Both polls come packaged together with their predictable narratives – Labour have opened a lead because their Road To Wigan Pier attack on the Conservatives is beginning to resonate with voters, according to their supporters, while the Conservatives are gaining ground because of Ed Miliband’s disarray on immigration and the beginning of the inevitable UKIP implosion, according to theirs. But looking past the partisan spin, neither poll makes encouraging reading for Labour or the Tories. In fact, the inability of either of Britain’s two dominant political parties to command the support of more than one third of the electorate is very damning indeed. The reasons for the Labour Party’s malaise are fairly self evident – residual mistrust and dislike following thirteen recent years in government, a growing alienation between the party elite and their traditional core voters, total incoherence on the topic of immigration and the UKIP threat, and the abysmal personal ratings of their ex-leader in waiting, Ed Miliband. This blog has covered all of these symptoms of Labour decline at one point or another. But far more interesting are the reasons why the Tories are failing to generate any real approval or excitement, even among their supposedly natural voting blocs. These reasons are simple but stark: the Conservative Party has made a hash of delivering against the promises on which it was (kind of) elected, and has spent far too much time apologising for and excusing its policies along the way. How Will Lying About Immigration And The Deficit Improve Trust In Politics? Somehow, the message still isn’t getting through. Britain’s established political parties have been haemorrhaging support to the new insurgents – UKIP, the Green Party and the fastest growing bloc of all, those who have given up on politics and voting entirely – since the inconclusive 2010 general election and subsequent formation of the coalition government laid bare how vanishingly little difference there really is between the red, blue and yellow team consensus. And as the 2015 general election approaches, each of the establishment parties will come face to face with their own reckoning: David Cameron’s Conservatives face the humiliating prospect of failing to win an outright majority for the second consecutive time, Ed Miliband’s Labour Party behold the implosion of their 35% core vote strategy and Nick Clegg’s LibDems hunker down and wait for the sweet release of electoral oblivion. In a sane world, the growing revulsion and contempt felt by the British people toward their political class might by now have led to a degree of introspection and a nagging desire among politicians and political parties to cease their endless cycle of cynical, self-destructive behaviour. But we do not live in a sane world. And so the response of Britain’s main parties to the groundswell of public anger at their inability to be honest about their past records and current policies is not to come clean and give honesty a try, but rather to double-down and turn up the brazen deceit to “maximum”. How many times have we been told to expect a “big speech” from Labour’s ex-Leader in waiting, Ed Miliband? Today is the day when Ed Miliband finally gets serious and fires the starting gun for the 2015 general election campaign, we were told. This is the day when the Labour party will stop being scared of its own shadow or apologetic for its past, and tackle the issue of Britain’s persistent budget deficit head-on. In fact, the latest oration by Miliband was so heavily trailed by Labour’s press team that even seasoned and cynical Westminster reporters were teased into expecting some kind of new policy proposal or big announcement. And what did we get? The same lack of specifics and anticlimactic sense of time wasted that Ed Miliband always manages to evoke. 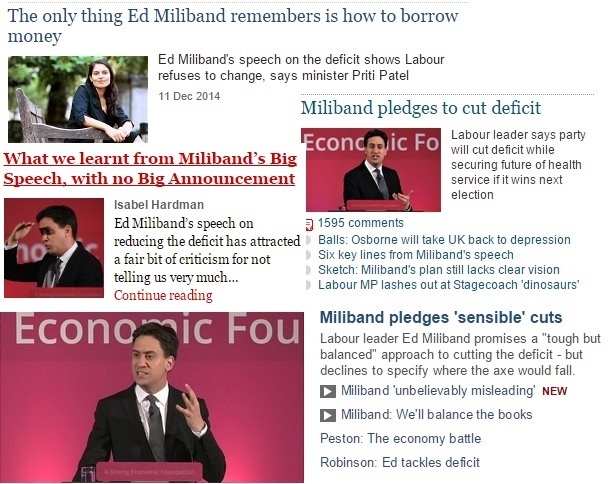 This blog has long pointed out that Ed Miliband wouldn’t know a great political speech if one jumped off the teleprompter and hit him square in the face – a typical Miliband speech is a more or less random assortment of short, standalone platitudes, focus group-tested to ensure their bland inoffensiveness, and none of which exceed ten words so as not to tax the brain of the listener, whose intelligence is so rudely and continually insulted. This being so, it was a pity to see much of the mainstream press, starved of inspiring political oratory for so long, lazily repeating back the assertion that this was indeed a Big Speech by Miliband, just because the Labour press office labelled it so. As the US presidential election draws closer and the political debate rumbles on, I find myself becoming increasingly frustrated by those voices on both the left and the right, who seek to hold up the example of “Europe” (that homogenised, cohesive whole) as Exhibit A in an attempt to win their economic policy argument. I am talking about the ongoing “austerity/stimulus debate” – whether America should make drastic and immediate cuts to public spending in order to tackle large government budget deficits, or whether even higher levels of government spending are required in the short term to spur economic growth, before deficit-tackling measures are undertaken at some point in the future. When talking about these issues, both Democrats and Republicans are playing fast and loose with the truth, and doing the American people (at least those who have already tuned in to the election-year political coverage) a disservice in the process. 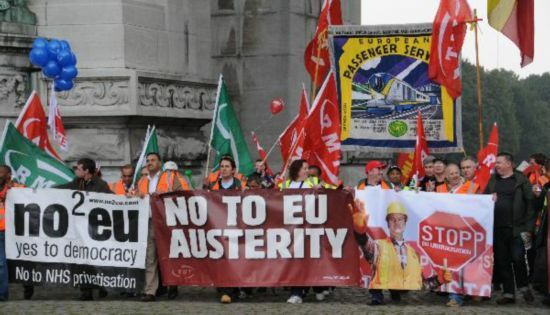 Europeans are rebelling against austerity. That’s the read on Sunday’s elections in Greece and France. But why do voters loathe austerity? Perhaps because, as economists have found, efforts to rein in budget deficits can take a wrenching toll on living standards, especially in a recession. Third, the president should make it clear he won’t allow government spending cuts to take precedence over job creation. 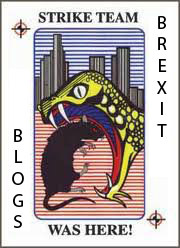 He won’t follow Europe into an austerity trap of slower growth and higher unemployment. While he understands the need to reduce the nation’s long-term budget deficit, he should commit to vetoing any spending cuts until the unemployment rate in the US is down to 5%. Instead, he should commit to further job-creating investments in the nation’s crumbling infrastructure – pot-holed roads, unsafe bridges, inadequate pipelines, woefully-strained public transportation, and outmoded ports. Finally, Obama should make sure Americans understand the link between America’s fragile recovery and widening inequality. As long as so much of the nation’s disposable income and wealth goes to the top, the vast middle class lacks the purchasing power to fire up the economy. That’s why the so-called “Buffett rule” he has proposed – setting a minimum tax rate for millionaires – needs to be seen as just a first step toward ensuring that the gains from growth are more widely shared. He should vow to do more in his second term. Such an economic strategy – forcing banks to help distressed homeowners, stopping oil speculation, boosting spending until unemployment drops to 5%, and fighting to ensure economic gains are widely shared – is critical to jobs and growth. It’s the mirror image of Europe’s failed austerity policies. The trouble with Europe’s post-crisis budgets, then, isn’t so much that they’ve increased taxes. It’s that they haven’t meaningfully cut spending. “Following years of large spending increases,” Veronique de Rugy explains, “Spain, the United Kingdom, France, and Greece — countries widely cited for adopting austerity measures — haven’t significantly reduced spending since 2008.” De Rugy points to data that shows those countries “still spend more than pre-recession levels,” with France and Britain making no cuts, and Italy increasing spending in 2011 “more than the previous reduction” between 2009 and 2010. Without significant, substantial cuts, tax increases alone don’t amount to austerity. Yglesias is correct that tax hikes can contribute to austerity. What tax hikes cannot do, however, is be austerity. Tax hikes are neither necessary nor sufficient for an austerity program. Inconsistent though it may be with the liberal worldview in the US, this is very true. Government spending, by many measures, is actually higher than pre-recession levels in Britain and other countries. The so-called “austerity” that everyone is wailing about is nothing more than a reduction in the rate of increase in government spending. Furthermore, as anyone living in Britain can easily attest, many of the “austerity” measures have been tax increases, and not spending cuts – which also does little to support the liberal view that draconian spending cuts have stymied an economic recovery. Also missing from the left-wing take on austerity is an understanding of the fact that, unlike the US, European economies grappling with anaemic growth or double-dip recession do not have the good fortune to be underpinned by the world’s primary reserve currency. It is much easier to enact a large scale stimulus programme while retaining the confidence of the global bond markets if your currency is the US dollar, a fact that is glossed over by many people, including some in the Obama administration who hold up Europe as a cautionary tale of what happens if you fail to meet economic downturn with government stimulus. “The situation in Europe is slowing things down,” Obama told donors at the New Amsterdam Theatre. At the home of hedge fund executive Marc Lasry, Obama said that Romney and congressional Republicans favored an austerity plan that would “drastically shrink government,” hurting job growth and middle-income Americans. “That is fundamentally different from our experience in growing this economy and creating jobs,” Obama said. Where Obama was subtle, not drawing a direct line between Europe’s approach and Romney, Clinton was not. As a European watching the American political debate unfolding, it frustrates me to see such sweeping statements and generalisations being made about other countries, and seeing their actions and policy stances mischaracterised without even the pretence of trying to understand them – and this applies to both sides of the political aisle. I also fear that it does not do much to dispel the false but common notion that most Americans are insular and lacking any real understanding of the world beyond their borders. This stereotype, where true, is unfortunate enough to the extent that it applies to the general population, but even more concerning when it manifests itself in current and would-be future political office holders.